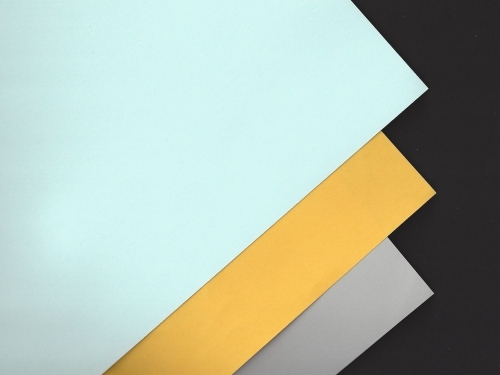 We are delighted to bring you 'Fizz', a new and exciting range of plain endpapers. Fizz is a 120gsm, machine made wove end paper. All the shades are made from totally chlorine free (TFC) pulp. Sourced from virgin Swedish wood pulp. They are ISO 9706 long life archival usage and PEFC certified. There are currently 8 shades in the range, but this will eventually increase to 14. The sheet size is 45 x 64cm (long-grain). Fizz will gradually replace the Kaskad range of papers which has been discontinued.